Ants are never a welcome sight in your home; especially if you don’t know where they’re coming from. If you see more than the occasional ant or two, you might have an ant infestation. If it turns out you do have a problem, give us a call and let us take care of the insects for you. Here are a few signs to look for. If you have gotten used to leaving food out because you haven’t had to deal with insects for a while, odds are it’s covered in ants. Ants tend to flock towards any food that is left out, so make sure that it’s covered or put away. Because ants are continuously looking for food, they split up and wander around your home like spies looking for a crumb or two. If you see more and more stray ants, odds are there are many more. Ants don’t discriminate between different types of food. They want it all. You will notice the inside, rim, and outside of the bowl, as well as the floor around, will be crawling with little black specks. In addition to regular ants, carpenter ants can also be a problem. They tend to do more damage than regular ants, and you won’t always be able to tell that you have an infestation. Carpenter ants like to make their nests in moist, rotting wood outside your home with satellite nest inside your house that contains only worker ants because it is too dry for eggs. If you hear running noises through your walls, shed wings near vents, baseboards or sills, odds are it’s time to get rid of them. The two common species of carpenter ants are either entirely black or black with a rust red midsection. You can most often find them in your porch columns, steps, and corners, under eves, between walls or in door and window frames, beams and joints. It is important to remember that carpenter ants will destroy your wood. They do not eat the wood, but they excavate places to raise their babies. If you see piles of sawdust, which is what the ants do with the excess from their digging excursions. 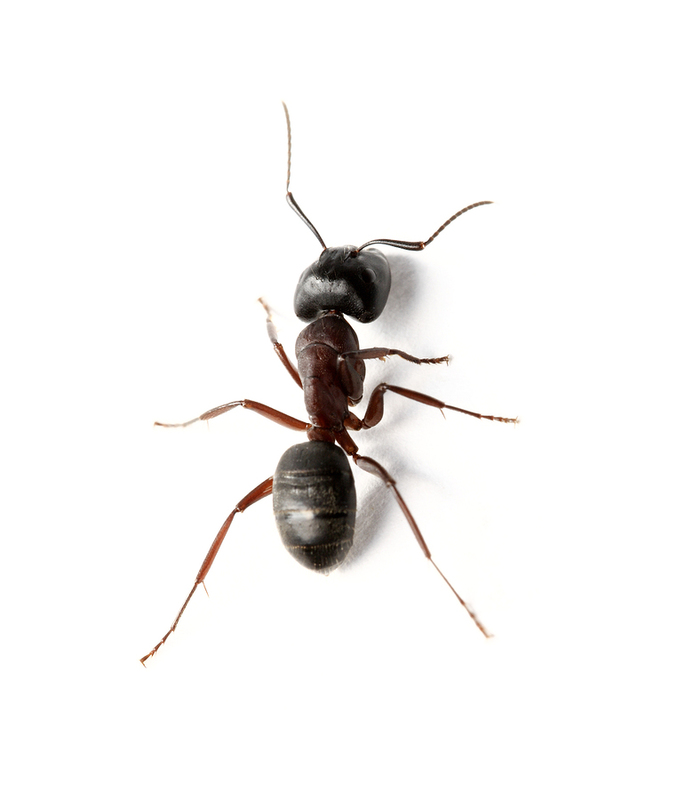 If you can hear the carpenter ants crawling in your wall at night after your home gets quiet, please call us ASAP. An ant infestation can be difficult or impossible to take care of on your own. Contact us and let us take care of getting rid of those pests the first time. Schedule your appointment at 800-966-5568. Don’t wait until they destroy your home; have it taken care of as soon as possible. Do You Have Cluster Flies?